We here at Pop Culture Uncovered love the works of Farel Dalrymple. From Omega The Unknown, Pop Gun War, The Wrenchies and so much more, there’s plenty from him to admire. So being given the chance to speak with him was an opportunity we couldn’t ignore, so enjoy! PCU: What was the biggest impetus for Chain Letter? 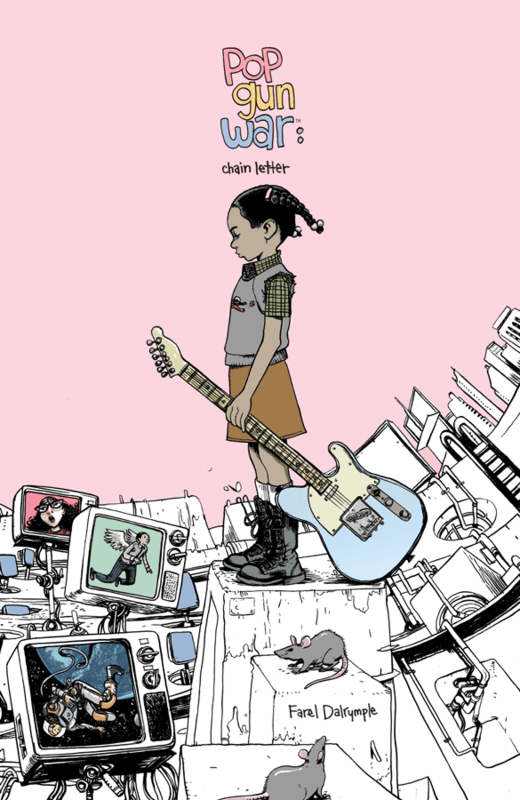 Farel Dalrymple: As soon as I finished Pop Gun War: Gift, like 15 years ago now, I started working on a sequel. I had to put it aside for years while working on The Wrenchies and other projects but I kept thinking about it. I got the idea for the story from working on the first trade and wanting to feature Sinclair’s sister Emily as the main character. The idea of her going underground and into tunnels and watching the video monitors was sort of inspired by Alice in Wonderland and the works of Tatsuyuki Tanaka. There is a bunch of other stuff in there that I ripped off of many different sources. PCU: What was it like having the story published in the Island originally? FD: It was kind of the best way for me to feature this story besides having it as a graphic novel. I am pretty happy about the way The Wrenchies came out but it was difficult for me working on something for so long in relative isolation. I want to have all my work from now on serialized first. Brandon Graham approached me at just the right time about putting something in Island, even telling me that the stuff that he felt was the most “me” was Pop Gun War. It was cool seeing all the other great comics in Island too. I felt proud to be a part of such an incredible anthology that produced I.D., Ancestor, and Habitat, Three of my favorite books in recent years. 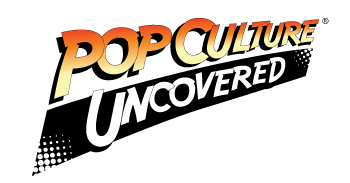 PCU: Do you see a Popgun volume 3 happening? FD: Yeah, I wrote out a detailed plot several years ago and have done sketches for it here and there. I’ll start on it as soon as I wrap up my current comic, Proxima Centauri. PCU: What would you say has been the biggest shift in your art style? FD: Using more pens instead of brush. Also using computer colors more and using photo reference less. PCU: We’d like to thank Farel again for taking the time to conduct this interview with us. You can purchase Pop Gun War: Chain Letter at any fine establishment where comic books are sold, as well as online stores such as Comixology, Amazon and Barnes and Noble among others.